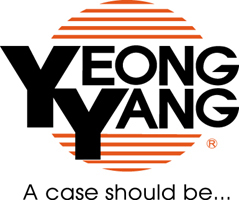 Yeong Yang Group was established in 1978 initially specialized in metal pressed production and founded sales for manufacturing and distributing computer cases worldwide since 1990. Paul Yen, chairman has set up his mission as to expand company business to be profitable, steady, and competitive in the computer market. With highly talented R&D, quality driven manufacturing, and collaborated partners such as Intel, Yeong Yang is recognized as a professional computer cases manufacturer. In 1995 the company was certified an ISO-9002 by T郹-Cert as a proof to its quality. With globe vision, Yeong Yang Group set up its European and American branches in 1995 and 1997 respectively in order to better server its worldwide customers and get market information to fulfill its globe marketing strategy. The PRC factory joint venture is a determination not only to increase its current market share but also to increase other channel such as OEM business and to provide Barebone solutions in addition to current product ranges. Yeong Yang Technology Co., Ltd., announces a grand opening of its Ningbo Factory in 2000 in China. This new facility will provide not only to current distribution channel but to OEM potential customers with high efficiency, high quality, and big capacity products which makes a break through for Yeong Yang's business development in the near future.